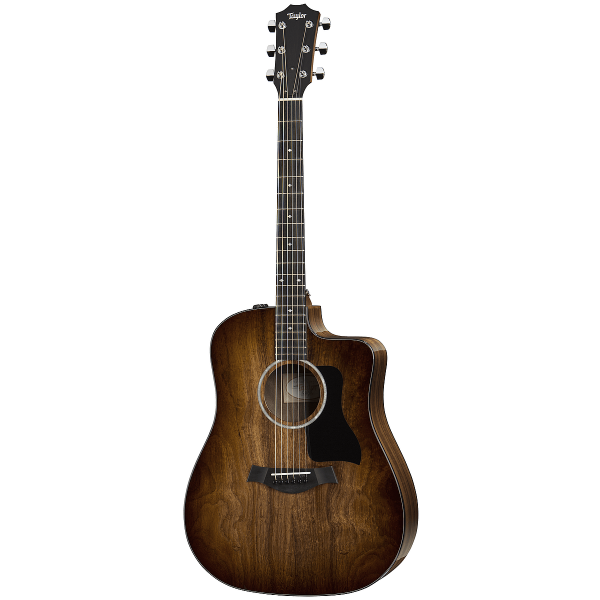 This handsome all-koa cutaway Dreadnought from the 200 Deluxe collection blends a solid Hawaiian koa top, featuring a shaded edgeburst, with layered koa back and sides. 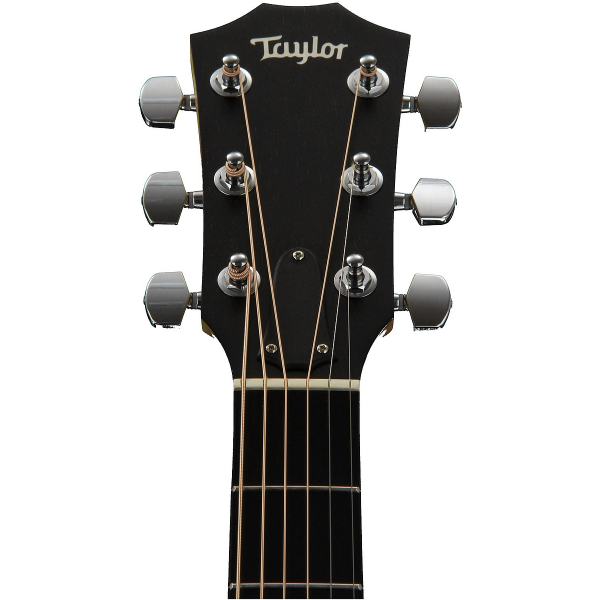 The overall look is vintage organic beauty, with the help of a black pickguard and black binding that complement the dark edgeburst and the ebony fretboard and bridge from Taylor’s mill in Cameroon. A full-gloss body highlights the rich character of the wood. 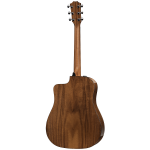 Tonally, the Dreadnought responds well to lively strummers and flatpickers, as the hardwood koa top adds natural compression that evens out a player’s attack to produce a nicely focused, balanced sound. 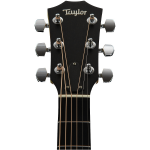 Additional appointments include Italian acrylic small diamond inlays, a single-ring faux pearl rosette in an interlocking “fishbone” pattern, Taylor ES2 electronics, chrome tuners, and a Taylor deluxe hardshell case.